Area of Cedar Valley ground-water model. Computer-simulated water-level elevation (colored shading) compares favorably to the measured water levels (brown contour lines) and indicates ground-water flow is from the Oquirrh Mountains across the valley to Cedar Pass and the Mosida Hills (pink arrows). Lucy Jordan, Hydrogeologist, Utah Geological Survey. J. Lucy Jordan is a hydrogeologist in the UGS Groundwater and Paleontology Program. She has a B.S. degree in Geology from North Dakota State University and an M.S. degree in Geology from the University of Montana. Lucy worked on miningrelated ground-water contamination as a consultant to Kennecott Utah Copper and on watersupply and protection projects for other consulting firms in Utah for a decade prior to joining the UGS in 2004. Lucy’s work with the UGS has focused on water resource assessments in Utah, including water-quality studies, aquifer testing, and computer-based modeling projects. 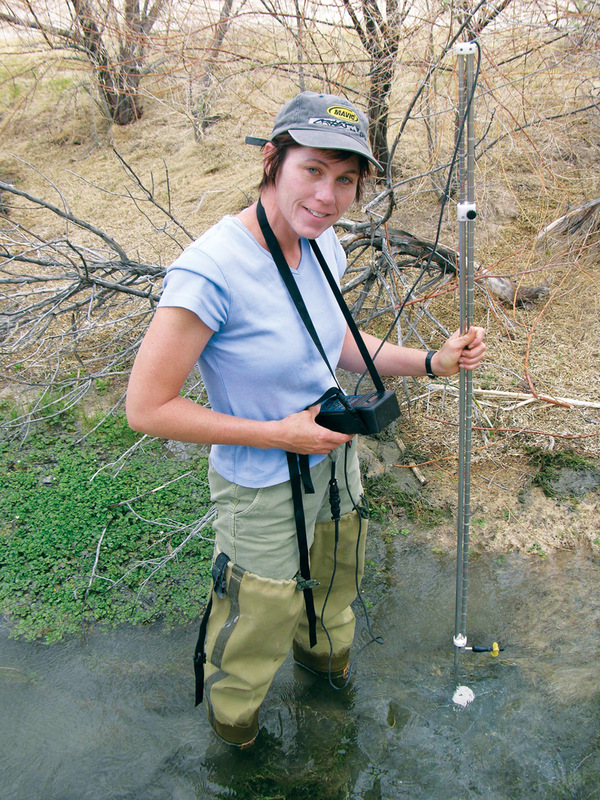 She is currently managing the surface-water monitoring program in Snake Valley in western Utah. 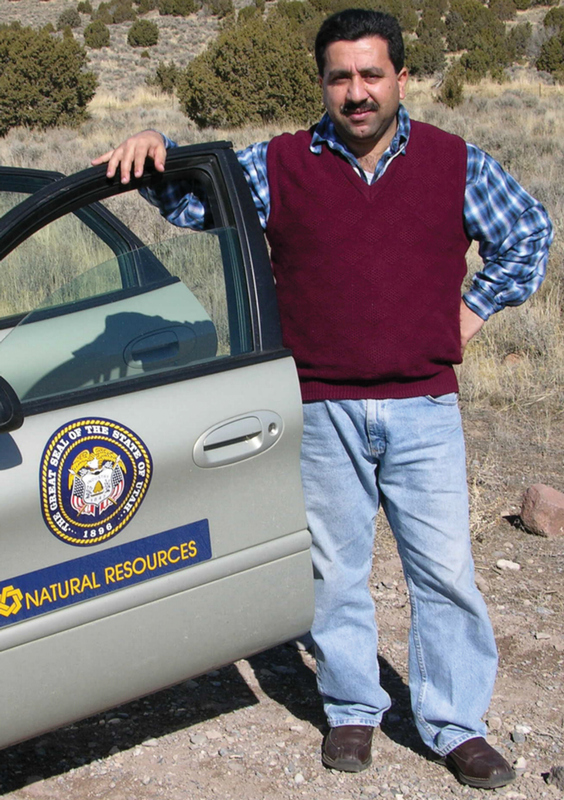 Walid Sabbah, Hydrogeologist, Utah Geological Survey. Walid Sabbah is a hydrogeologist/ground-water modeler in the UGS Groundwater and Paleontology Program. Walid has a B.S. degree in Geology from Yarmouk University and an M.S. degree in Hydrogeology from the University of Jordan. He worked for eight years as a hydrogeologist before returning to school to pursue a doctorate, and in 2004 received his Ph.D. in Civil and Environmental Engineering with emphasis in GIS and hydrological modeling from Brigham Young University. He also worked as an adjunct Assistant Professor at Utah Valley University for a year and a half prior to joining the UGS in 2006. 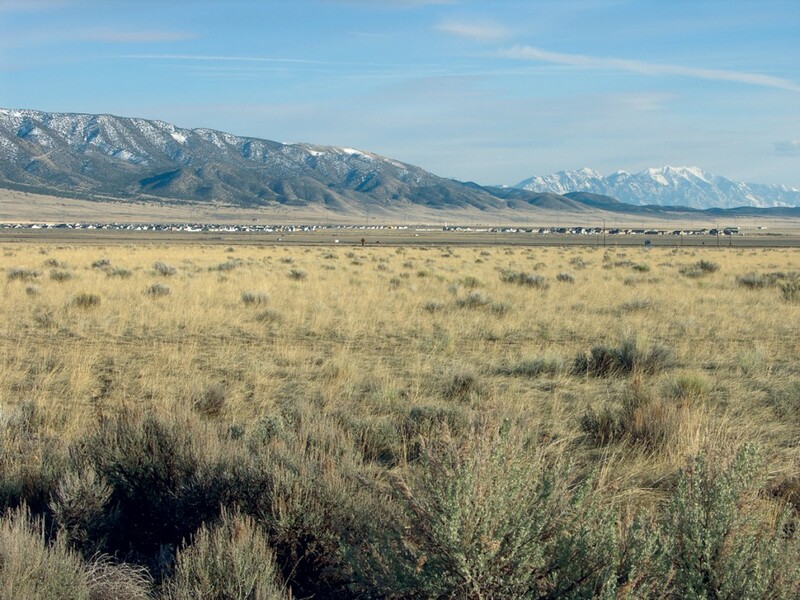 The population of Utah County’s Cedar Valley, including the city of Eagle Mountain, has grown from less than 1000 residents in 1990 to over 23,000 today, drastically increasing the need for potable water. This need is being met primarily by installing new wells and converting agricultural supply wells to municipal use, since the few natural streams and springs are fully appropriated. Over the past 5 years, the UGS has performed pumping tests, collected water levels and water-quality samples, and created a three-dimensional (3D) computer ground-water flow model to provide water users and regulators with a better understanding of the ground-water flow system. Cedar Valley occupies a closed surface-water drainage basin west of Utah Lake and the Provo– Orem metropolitan area. Ground water is present in the unconsolidated sediments that fill the basin and in bedrock that underlies the basin fill and forms the surrounding Oquirrh, Traverse, Lake, and East Tintic Mountains. The unconsolidated sediments are as much as 2100 feet thick and are generally silt and clay mixed with small amounts of gravel, except near the mountains where sand and gravel dominate. A clay unit as much as 240 feet thick covers two-thirds of the surface of the valley and creates confined ground-water flow conditions beneath it. On average, the basin fill is slightly less permeable to ground water than the fractured Paleozoic carbonate bedrock, which is atypical compared to most ground-water basins. Ground water generally flows from west to east across the valley but then encounters a north-south-trending normal fault on the eastern margin of the valley. The fault is a conduit for ground-water flow parallel to the fault, but acts as a barrier to ground-water flow across the fault. As a result, ground-water flow is directed around the Lake Mountains to exit the valley through bedrock at Cedar Pass and the Mosida Hills on the north and south ends of the Lake Mountains, respectively. The primary source of ground-water recharge to the Cedar Valley basin-fill aquifer is mountain precipitation, which enters the basin-fill aquifer as subsurface inflow from the mountain block. We estimate mountain-block recharge ranges from 9700 to 43,800 acre-feet per year and averages 24,000 acre-feet per year (an acre-foot is the volume of water that would cover an acre of land—slightly smaller than a football field—to a depth of 1 foot). 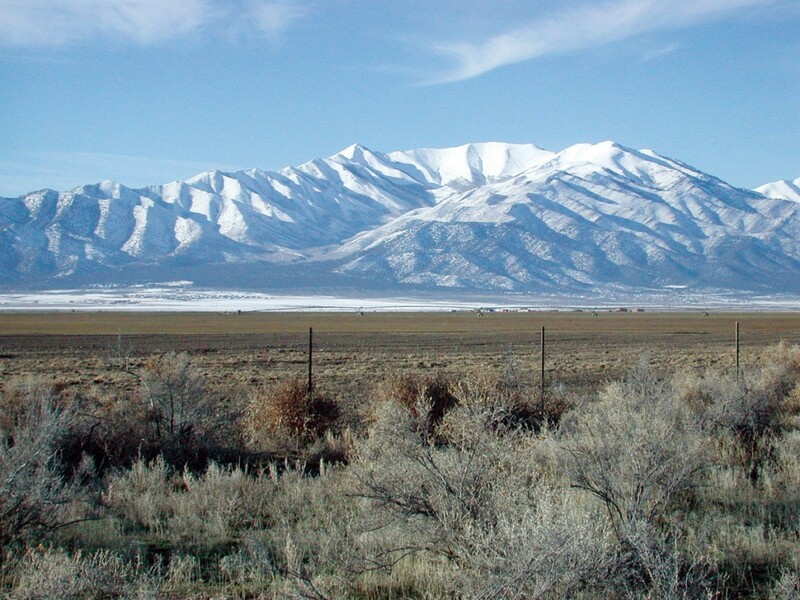 The Oquirrh Mountains likely provide about 90 percent of mountainblock recharge and the East Tintic Mountains provide the rest. Recharge through the valley floor includes seepage from one perennial stream, unused irrigation water, seasonal standing water in the center of the closed basin, a sewage treatment plant, septic tanks, and minor precipitation infiltration; these sources combined average about 1600 acre-feet per year. Based on water balance calculations and the results of our computer modeling, we think that little to no subsurface ground-water flow enters Cedar Valley from Rush Valley to the west, contrary to estimates made by other researchers in the 1960s. Discharge out of the Cedar Valley groundwater system is primarily by subsurface flow through bedrock at the northeast and southeast margins of the valley. 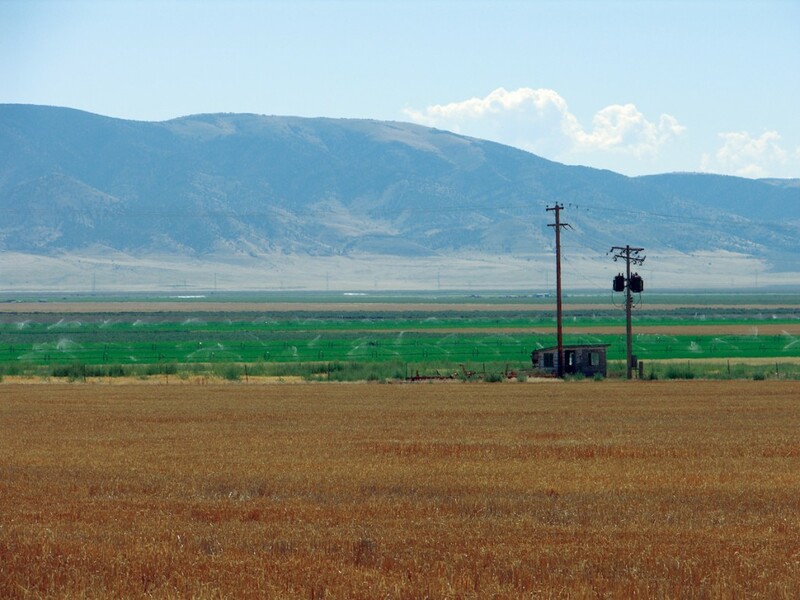 We estimate flow through fractured bedrock beneath Cedar Pass into northern Utah Valley is about 10,200 acre-feet per year and beneath the Mosida Hills into Goshen Valley is about 4700 acre-feet per year. Springs discharge an average of 4800 acre-feet per year, and evapotranspiration probably accounts for 3000 acre-feet per year. Discharge from wells increased from around 2500 acre-feet per year in the 1960s and early 1970s to around 5700 acre-feet per year by 2005, and then almost doubled to 10,500 acrefeet in 2007 as several large production wells came on line. Water-level trends indicate that changes in recharge due to wet and dry climatic cycles have historically had more influence on long-term ground-water levels than pumping. However, the significant increase in pumping from wells tapping the bedrock aquifer at Cedar Pass since 2005 has drawn down water levels in some wells more than can be expected as the result of climate change. Stable and radioactive isotope analyses indicate that wells and springs along the western margin of the valley probably receive water that has traveled along flow paths a few miles in length and originating in the lower slopes of the Oquirrh Mountains, and that wells in the center of the valley likely receive recharge via long flow paths originating in the higher elevations of the Oquirrh Mountains. Water traveling along these longer flow paths may have taken hundreds or thousands of years to reach its destination. Many new wells have been drilled into bedrock in the Cedar Pass area to provide water for development. 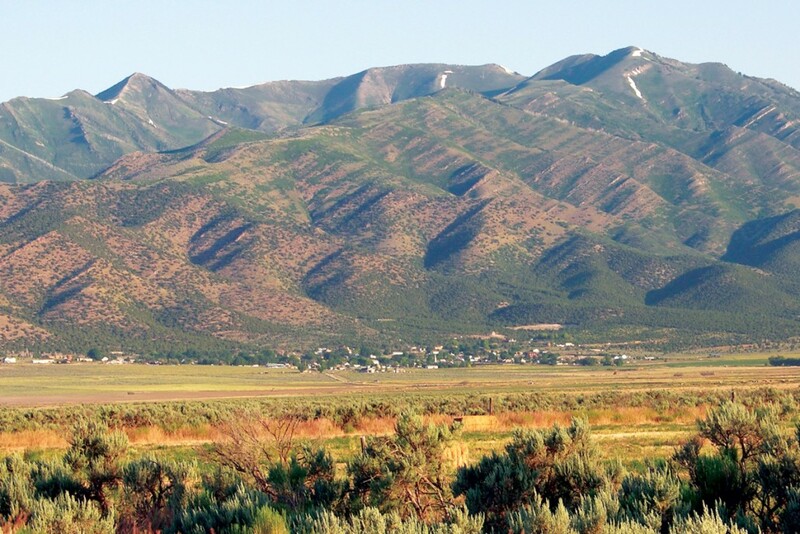 Data from these wells suggest there may be a component of modern (less than 50 years old) recharge in an otherwise quite old fractured bedrock flow system that receives its recharge from precipitation in the Oquirrh Mountains. Several bedrock wells throughout the valley produce water that is 9°F to 21°F warmer than the rest of the wells in the valley. The geologic setting of the warm-water wells and their chemical and isotopic signatures suggest deep circulation along long flow paths that end at fracture zones, which provide relatively rapid flow to near-surface wells. UGS geologists created a 3D computer model using MODFLOW 2000 computer code to simulate ground-water flow in the basin fill during the years 1969 to 2007. The two-layer model includes an upper basin-fill layer and a lower bedrock layer, which acts only as a source of recharge and discharge in the model. The model was calibrated to match measured water levels in wells and measured flow at Fairfield Spring, the valley’s largest spring. We modeled a variety of possible scenarios, including drought and increased pumping, 30 years into the future. If 2007 pumping and average climatic conditions persist, the model predicts most areas of the basin-fill aquifer will experience as much as 15 feet of drawdown from 2007 levels. In scenarios that include doubling the 2007 well extraction rates, large areas of the valley are predicted to experience over 100 feet of drawdown, and the northeast corner of the valley, where recent bedrock wells have been developed for municipal use, generally would experience even greater amounts of drawdown. Our study is providing new insight into the groundwater resources of Cedar Valley. The UGS is preparing a comprehensive report of the findings of this study, which we anticipate will be made available to the public later this year. The ground-water flow model code will be made available to government agencies and consulting scientists as a planning tool.